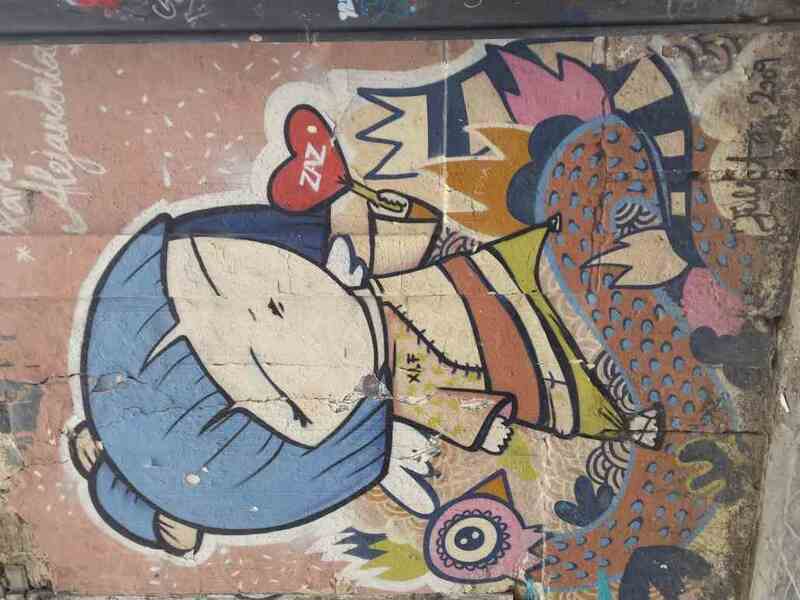 Enjoy the Street Art in Valencia and leave your mark on a city wall. Professional official guide during the Street Art tour in Valencia. Graffiti workshop to paint with professional spray on a street wall in Valencia. Advice and help at all times from a graffiti and design expert. Instructions to use the material correctly during the graffiti workshop. Professional material during the graffiti workshop. This graffiti and Street Art workshop in Valencia aims to raise awareness of the trend and movement of graffiti and Street Art in Valencia. 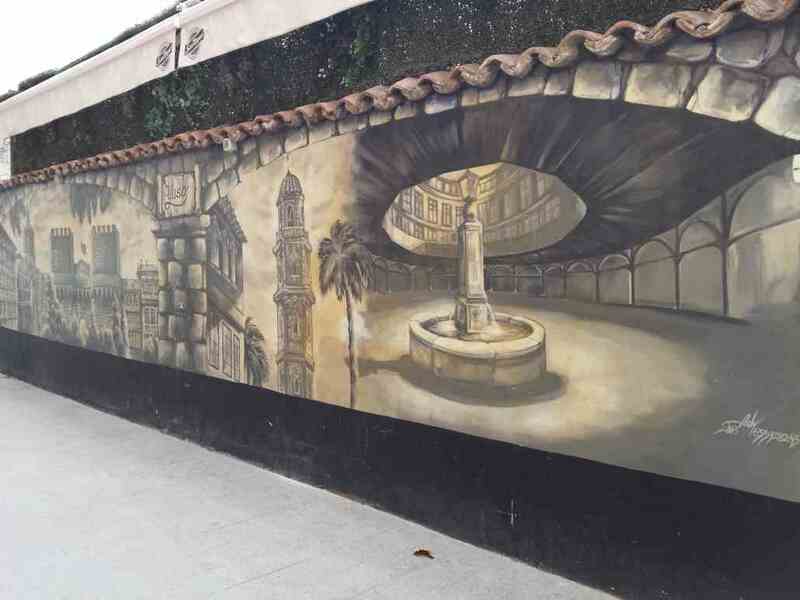 Combining a theoretical part in which a Street Art tour is made in Valencia with a practical part that is the graffiti workshop in Valencia intervening in a city wall. 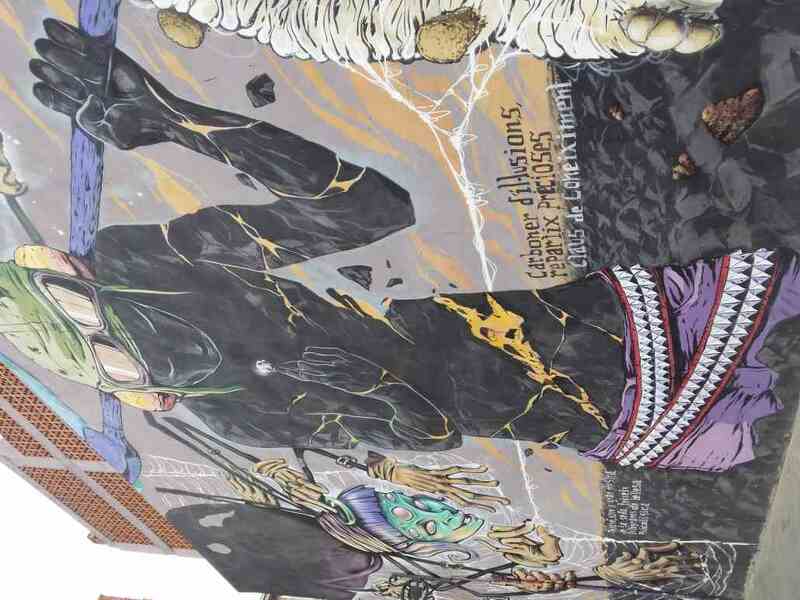 This tour of Street Art in Valencia consists of a guided tour in Valencia to discover an art form that is increasingly in vogue and attracts many visitors interested in it. 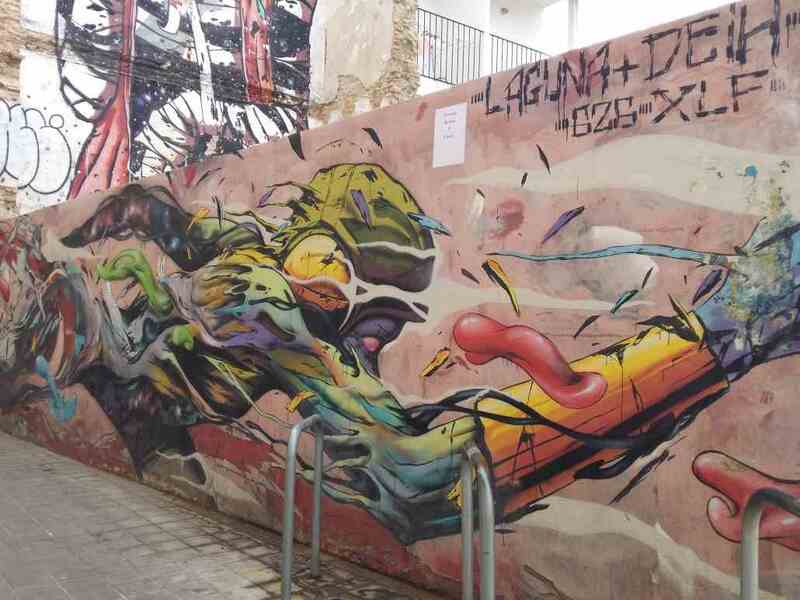 Valencia is one of the cities with the most quality graffiti you can visit. One could say that it has a large open-air museum, hidden among narrow streets reminiscent of bygone times. 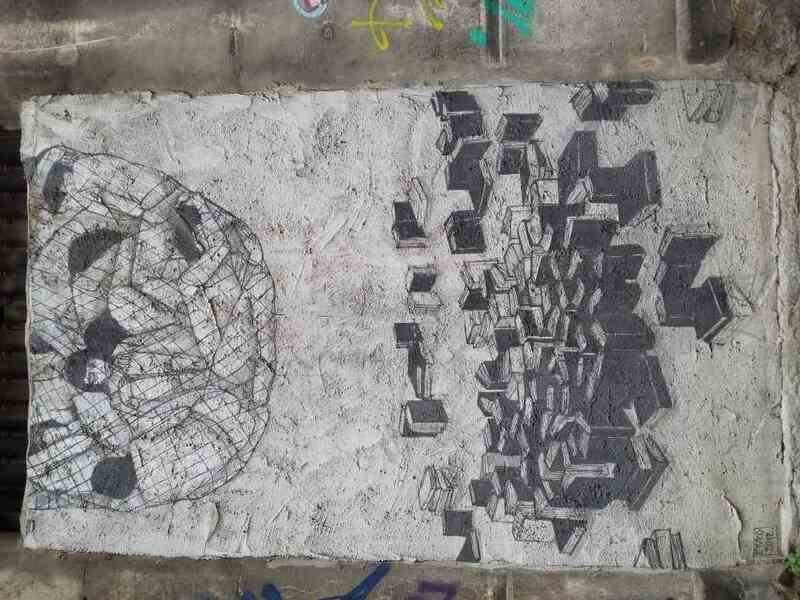 One could say that Street Art is first and foremost a form of denunciation. It is a message that is latent and open to all. A means of social communication that breaks down the barriers of the system. That same system that, as Escif says, “under the umbrella of security and coexistence reduces our freedoms to their minimum expression”. 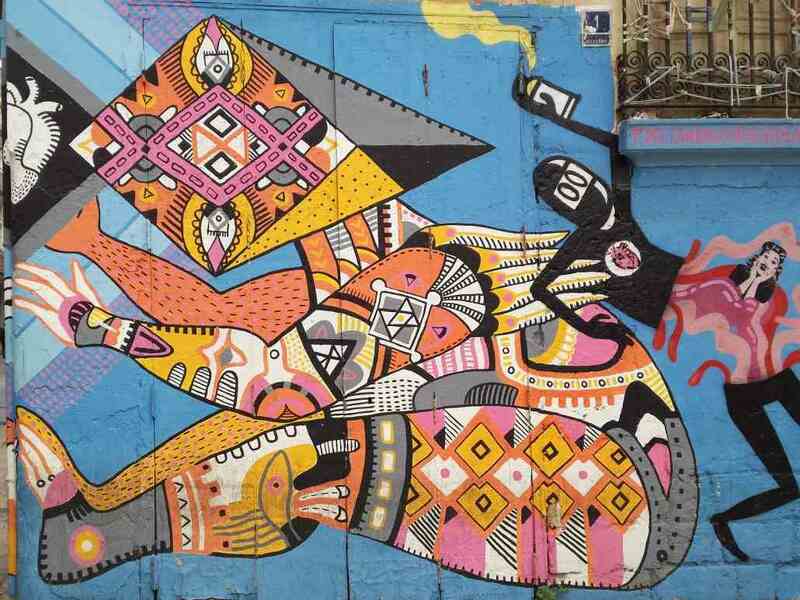 In addition to the social character of denouncing graffiti, we should not forget its artistic side, which embellishes walls, streets and squares. And this sense is even more important in the Barrio del Carmen. 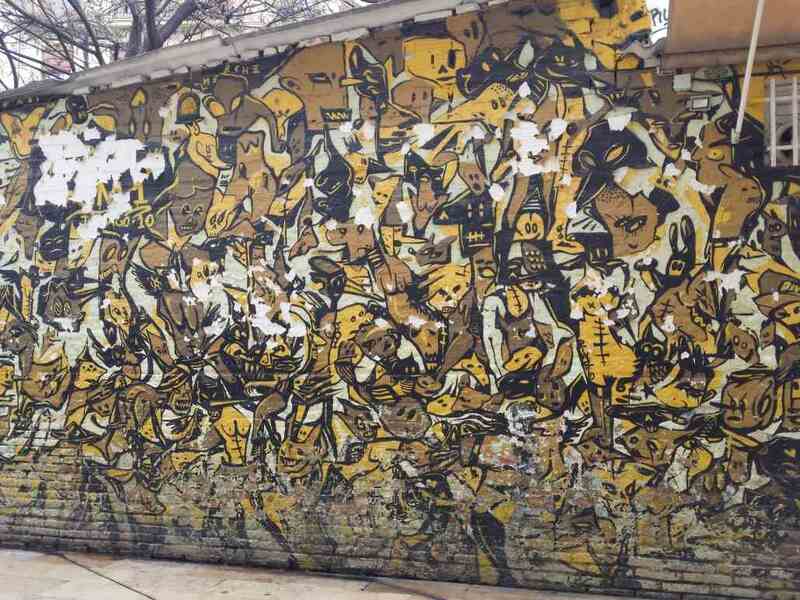 A neighborhood in which many of those walls or facades were neglected and forgotten and somehow, thanks to these graffiti, come back to life. 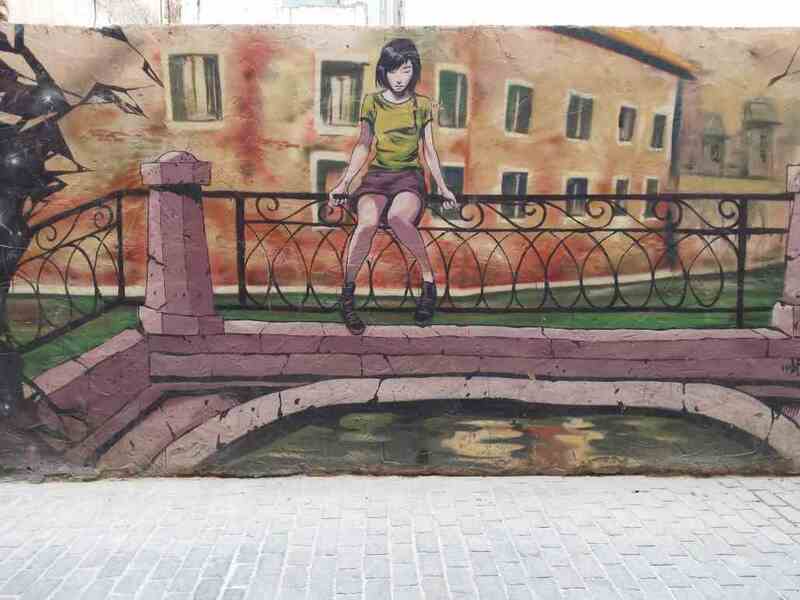 It is a recovery of streets and squares that return to the present and to the present through urban art and tourism. There are many citizens of Valencia and visitors from outside the city who walk these streets that were forgotten to enjoy urban art. 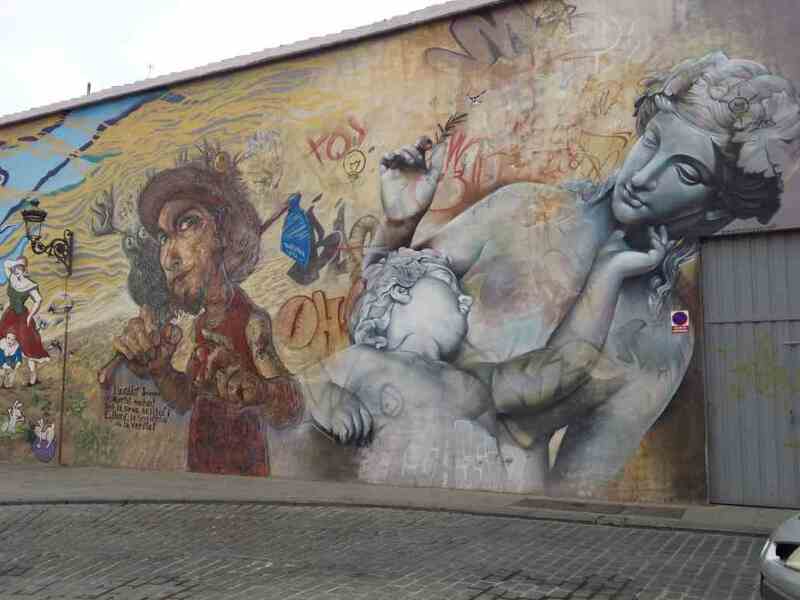 Along this Street Art tour in Valencia we will know the different works of a great number of artists. National and international artists who have intervened the walls of the streets of Valencia to leave their mark. 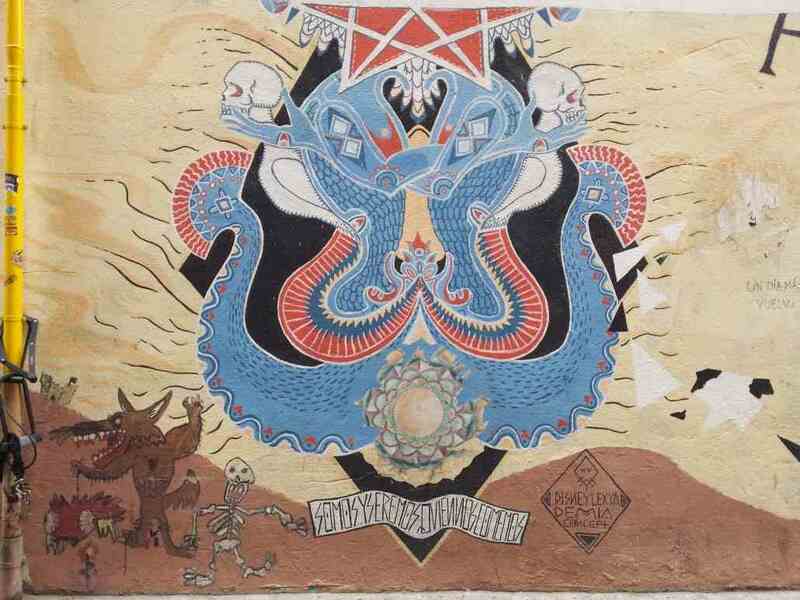 Among them, the Valencian artist Escifstands out. 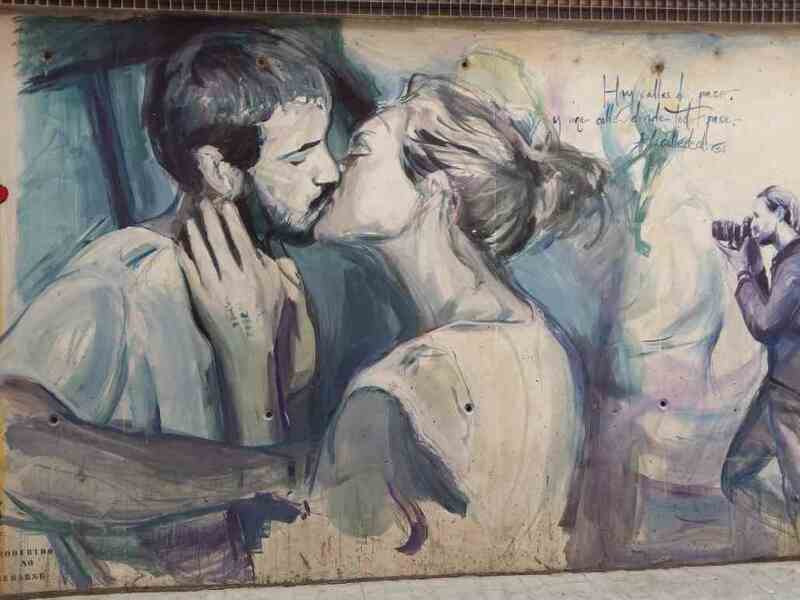 We find several of his works along our Street Art tour in Valencia. In his interventions the social and political denunciation are the protagonists. One example is the police van, located in Músico Peydró Street, which denounces police brutality, especially during protests. His work El Coche(The Car), located next to the Plaza del Tossal, shows a vehicle tumbling from the top of the building. 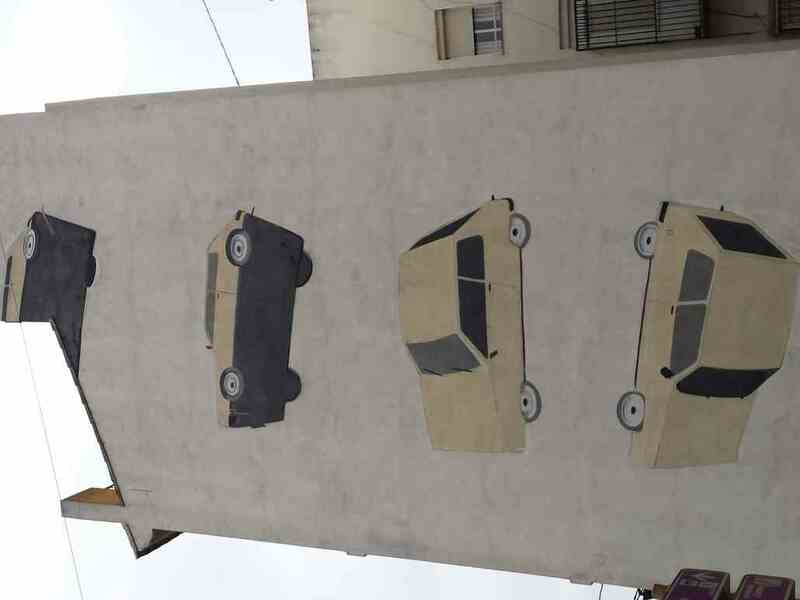 Escif has left its mark not only on walls in Valencia but also in Berlin, London, Miami and Mexico. 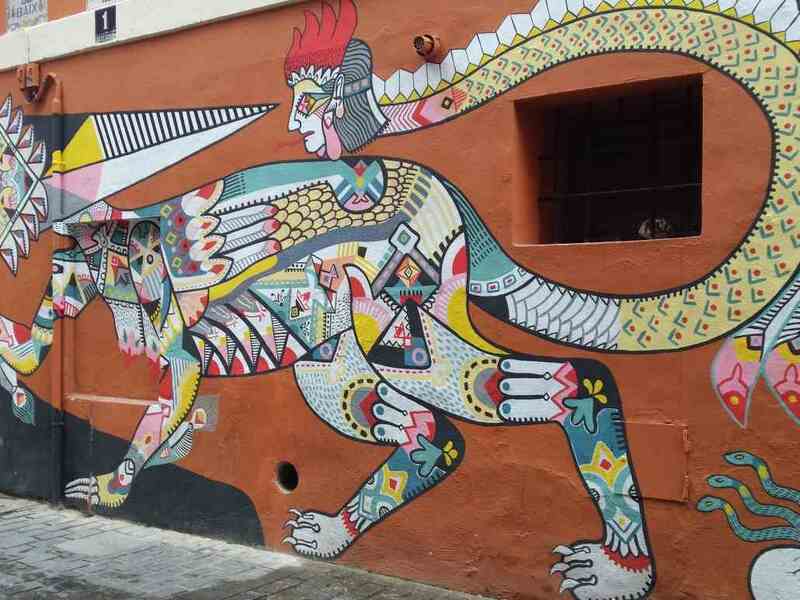 Another of the most outstanding artists who have left their art in the walls of Valencia is the Argentine Hyuro. She fights against the patriarchal system and for equality. In her artistic works the female figure is usually the protagonist. A woman who suffers the repression of the system, on whom falls all the social burden and who is not owner of her destiny nor of her freedom. 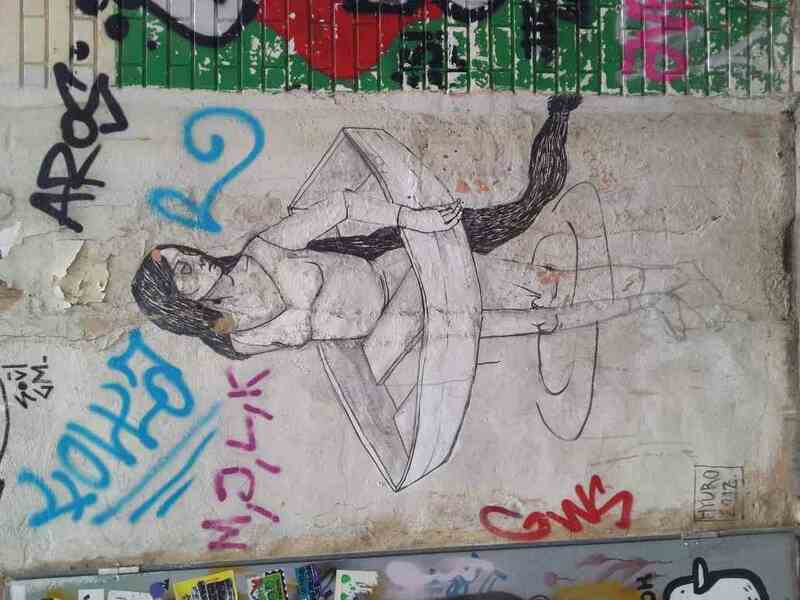 Some of the works we visited during this Street Art tour in Valencia are Mujeres sosteniendo y siendo parte de la ciudad (Women holding and being part of the city). It is located near the Plaza de la Merced. Also animal abuse in which the complaint focuses on social passivity to this type of abuse. In his works, light and grey tones stand out. 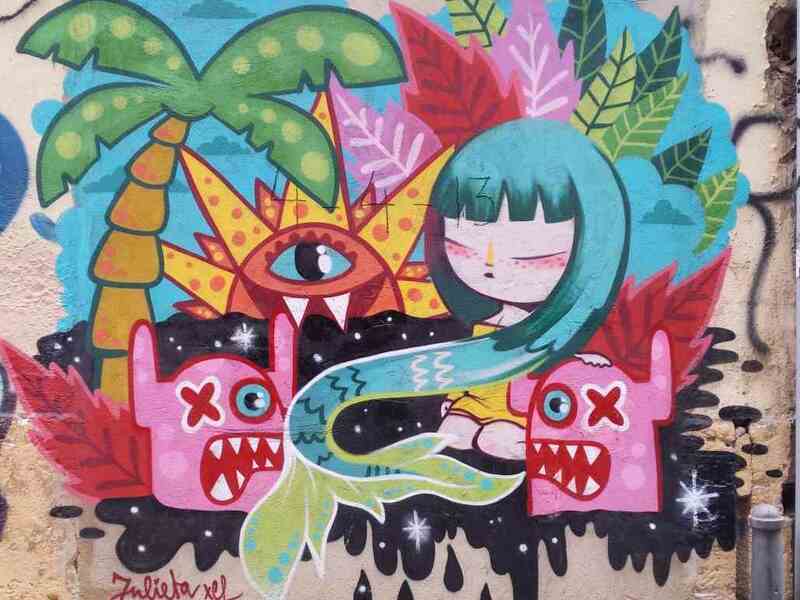 There are many other urban art artists who have left their mark in Valencia and whose works we can admire along this Street Art tour and workshop of graffiti. The Valencian Julieta XLF surprises us with her more oriental and childish iconography full of fantasy colour. 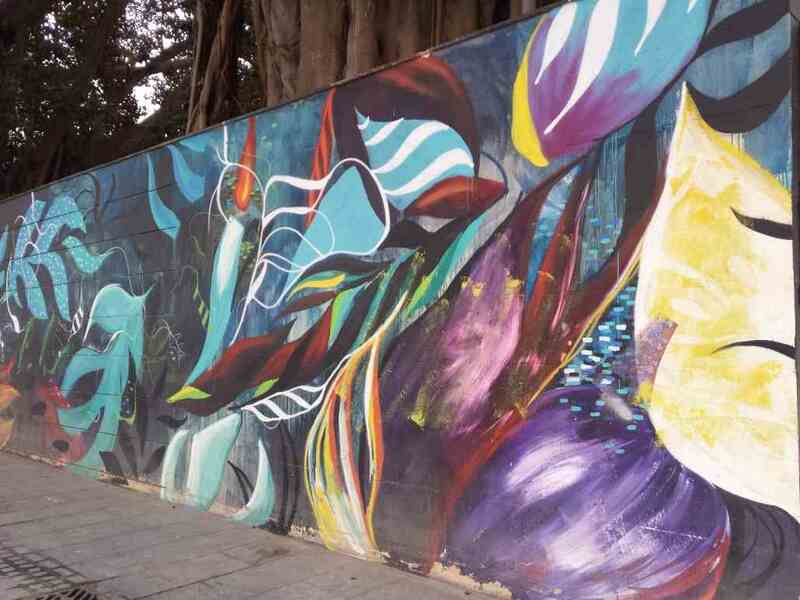 We will find some of his works in Corona Street, Doctor Chiarri Street or Beneficencia Street. 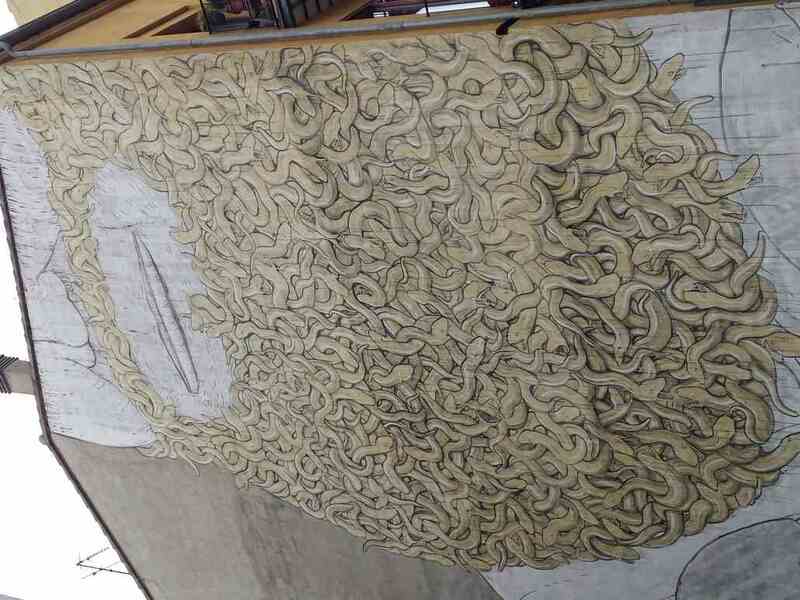 The Italian Blu will also surprise us with his work of Moses with snake beard located next to the Plaza del Tossal. On a nearby wall the Barcelona artist Fasim denounces the horror suffered by the victims of the war in his Stop War Victim´s Wall. In this work we can appreciate some influence of the Guernica of the painter from Malaga (Spain) Pablo Picasso. 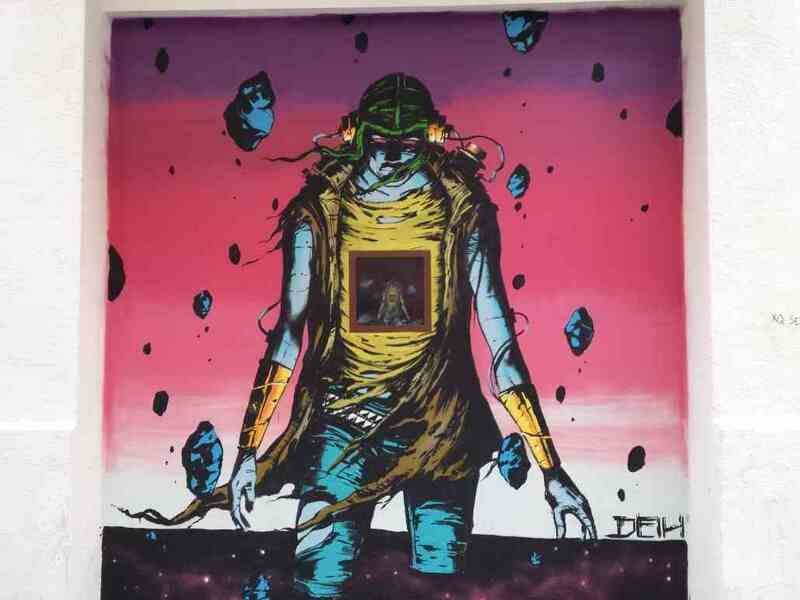 Deih finds his inspiration in comics but through characters surrounded by solitude. El Barrio del Carmen, an open-air museum. 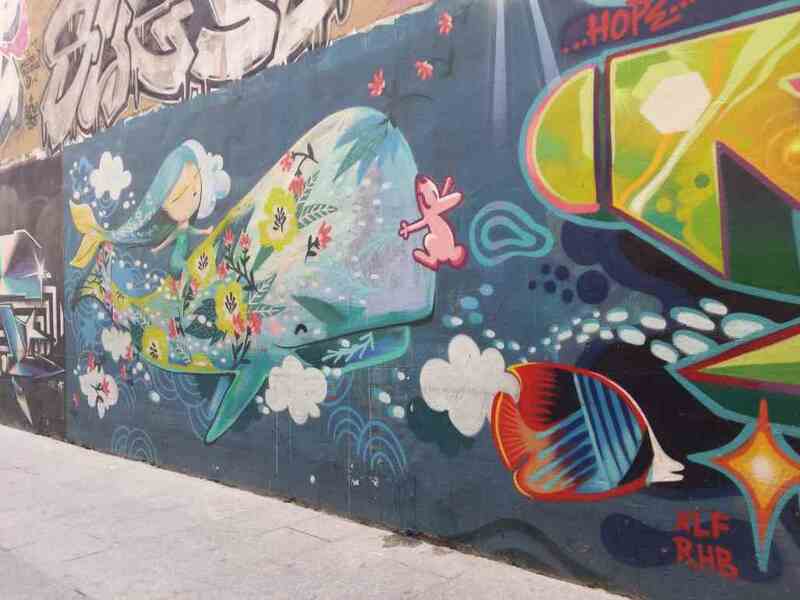 In addition to getting to know the different expressions of urban art, on the Street Art tour in Valencia we visit the well-known Carmen neighborhood. This neighborhood is one of the most charming neighborhoods of Valencia and one of the oldest in the city. It has its origin in the thirteenth century after the Christian conquest by the Aragonese king Jaume I the Conqueror. Its narrow and labyrinthine streets take us back to centuries ago when it was delimited by the Muslim and Christian walls. This neighborhood has always been a bohemian neighborhood, a fashionable place for nightlife and a centre for all kinds of artistic trends. 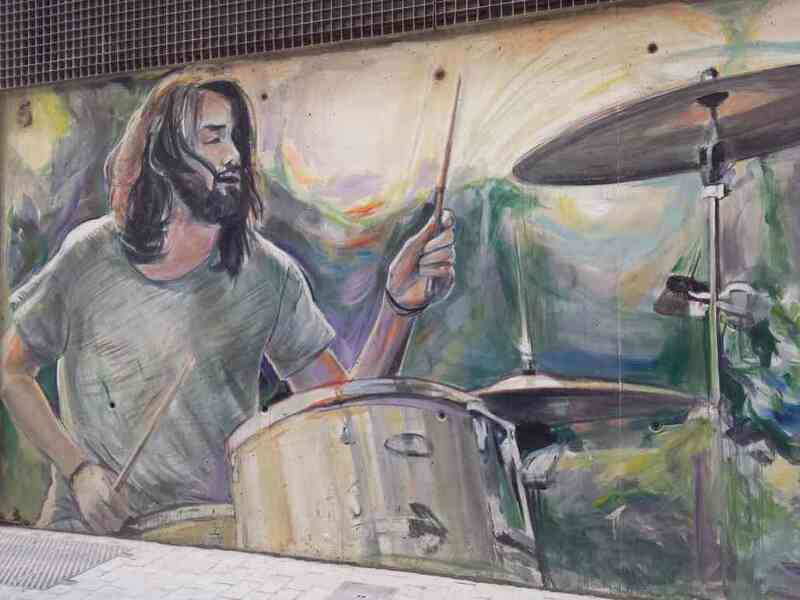 Therefore we can not have a better framework in which to make this tour of Street Art in Valencia than the Barrio del Carmen which unites past and present. 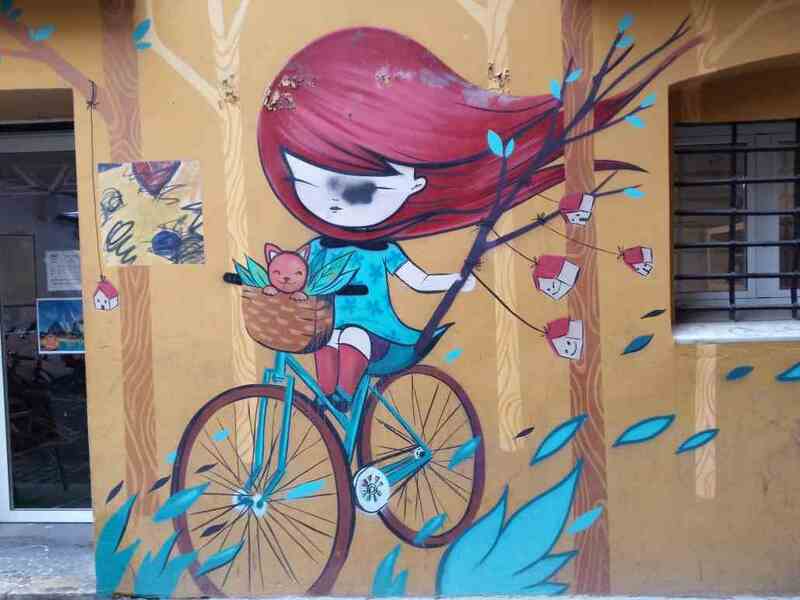 At the end of this Street Art tour in Valencia or Graffiti tour in Valencia, the group is moved to the place where the graffiti workshop is held in Valencia. After having enjoyed the theory and getting to know some of the Street Art works we have in the centre of Valencia, it’s time to take action with our graffiti workshop in Valencia. With everything we have seen and learned about techniques and trends in urban art, we have to get down to work and materialize ideas. Unleash your creativity, your imagination. 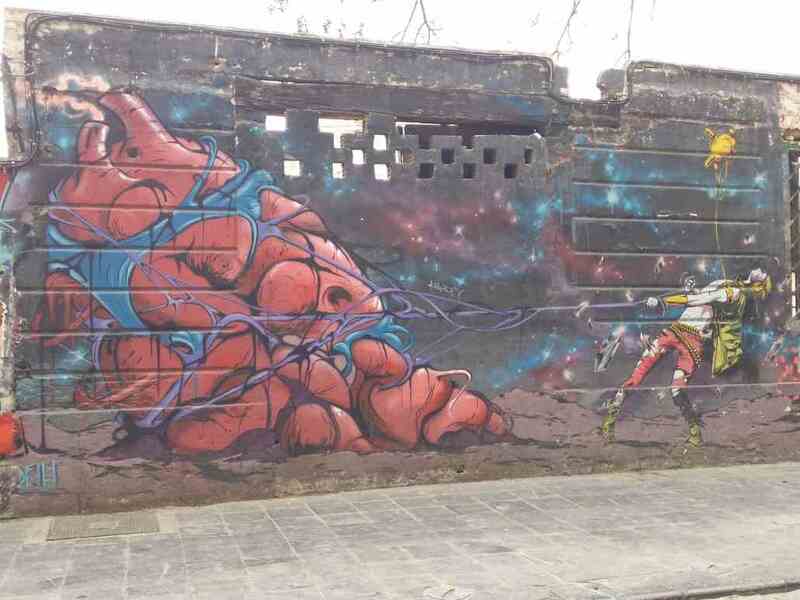 This is the opportunity to transmit your ideas to others, to leave your mark through your intervention in a real wall in the middle of the street thanks to this graffiti workshop in Valencia. The group is always advised by a professional who helps and advises them throughout the graffiti workshop in Valencia, which enriches the experience and makes it more real. For this graffiti workshop in Valencia professional material is used to make this experience in Valencia as real as possible. Specifically, it is the Montana 94 spray that we use for the groups to intervene in the wall located in the middle of the street in Valencia. 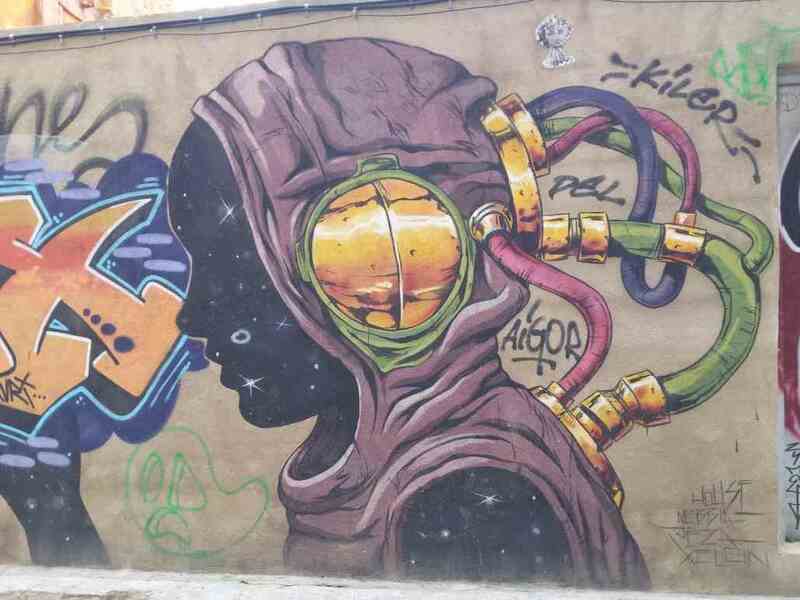 This graffiti and Street Art workshop in Valencia is a real experience in Valencia about graffiti and its techniques.